This story caught my eye…perhaps because a few years ago, Fresh & Easy Neighborhood Market, a 14,000 square foot grocery store concept by British-based TESCO was all the rage. The company had reportedly spent $1 billion (yes, with a B) on R&D and was looking at extremely rapid US expansion. Lots of communities were clamoring to sit down with TESCO to see if they could convince them to fill the smaller retail spaces typically found in older urban communities. In fact, I was part of a few of those conversations at ICSC Dealmaking in Las Vegas in 2008. But apparently, no more. 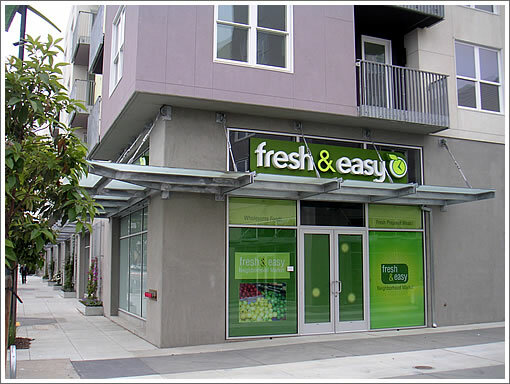 “Fresh & Easy was let down by poor execution, clinical stores, a predominance of own-brand products in a brand-loving U.S. market, and a lack of understanding by consumers” says Bloomberg news. Not to mention bad timing…the end of 2008 saw the collapse of the economy as well. I wonder what the plan is for existing Fresh & Easy’s…. Sad news indeed. 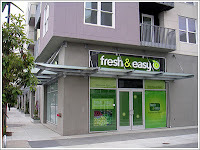 I disagree with the general assessment in the Bloomberg article, though — yes, Fresh & Easy never quite knew what it wanted to be, but I think that the primary mistake was its real estate strategy. If it stuck primarily to urban and Downtown locations, its merchandise mix would likely have been more popular. However, it put most of its stores in suburban sub-markets where they were filling niches that did not really exist. On that point, why start with California, Arizona and Nevada? How about the dense urban neighborhoods of Boston and Washington, D.C.? As a European retailer, it frankly should have known better.